The Martin Pro-Draft Professional Parallel Straightedge comprises cutting-edge technology making the premier straightedge in its class. It features an aluminum body for strength and stability, anti-warp cast acrylic bottom making it suitable for both ink and pencil. 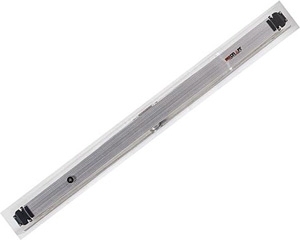 The locking device secures at any angle and anti-static rollers keep your work free of smudges! Strong and stable, the Pro-Draft will keep your work secure and clean.